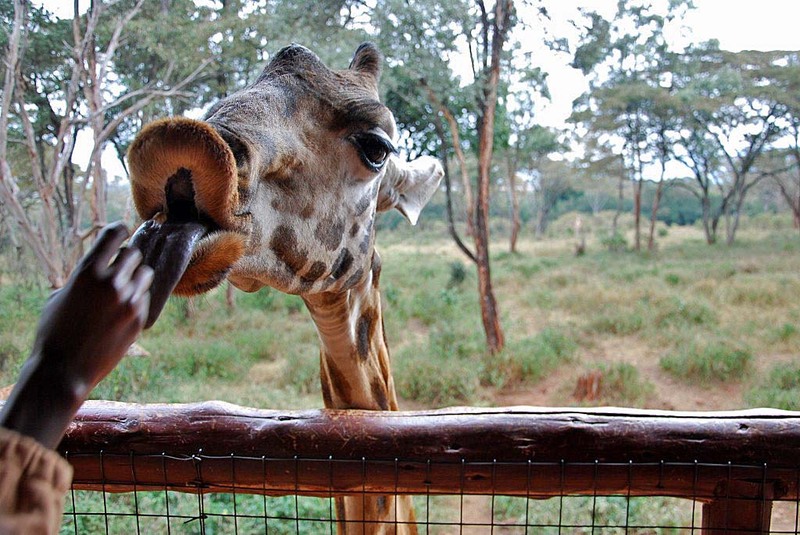 The Giraffe Centre is located in Nairobi’s Langata suburb, just a few kilometres outside of the hustle and bustle of the Nairobi city centre. The centre, also known as the African Fund for Endangered Wildlife (AFEA) Kenya, was founded in 1979 by Jock Leslie-Melville, a Kenyan citizen of British decent. 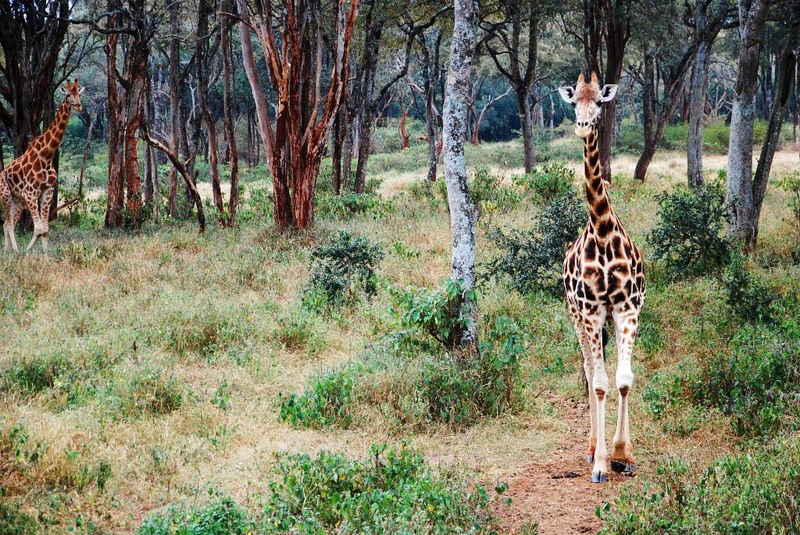 His wife, Betty, discovered that only 120 Rothschild giraffes were left on an 18,000 acre ranch in Western Kenya scheduled for sub-division and settlement. 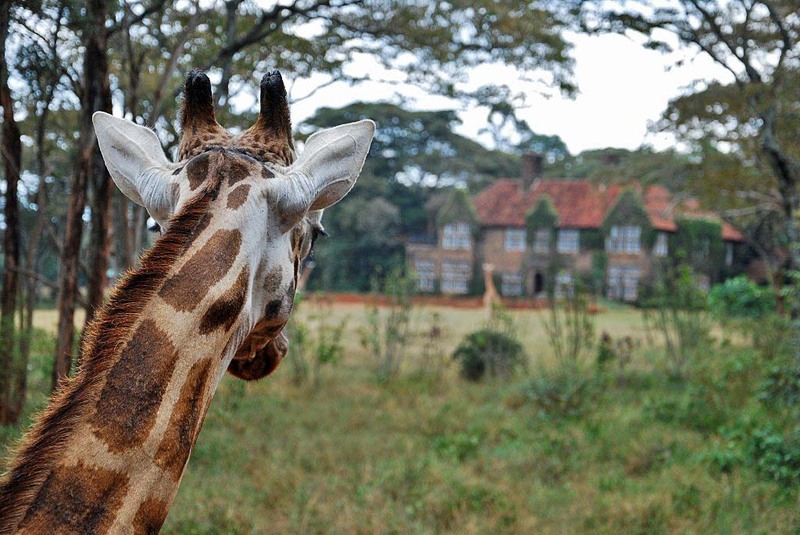 The couple decided to take action and brought two giraffes to their estate property in Langata. 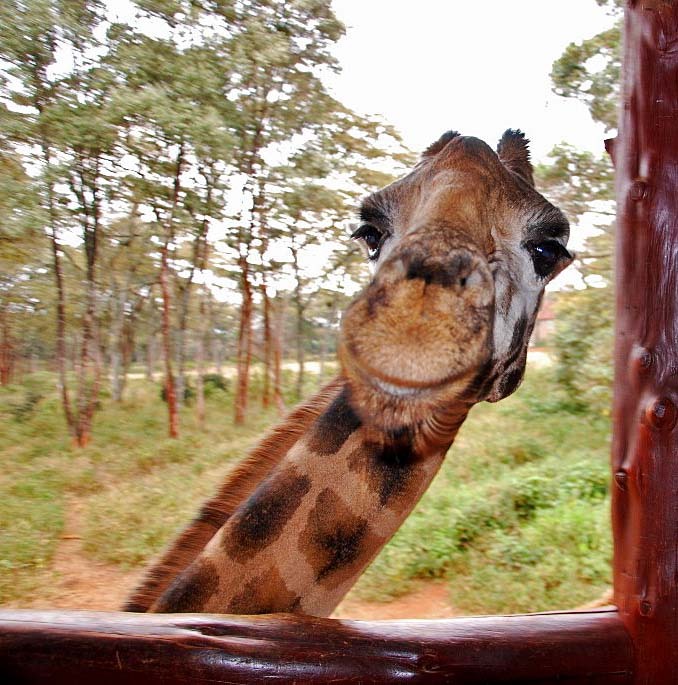 There are now over 300 giraffes in locations across Kenya, supported through AFEA. 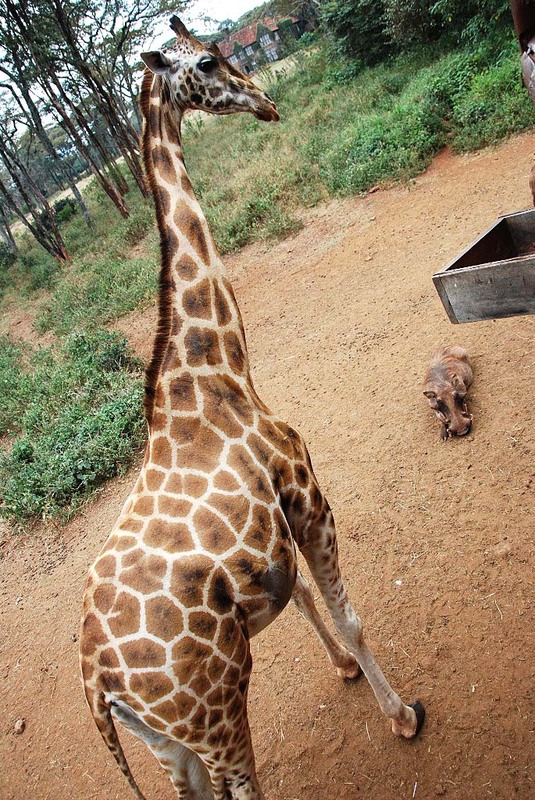 Nine giraffes reside at the centre in Langata. In 1974 the Leslie-Melvilles bought the Giraffe Manor, which has been open to the public since 1984. Guests who stay at the Manor enjoy the sight of giraffes walking in the garden, and are able to feed the giraffes while sitting on the outdoor patio. 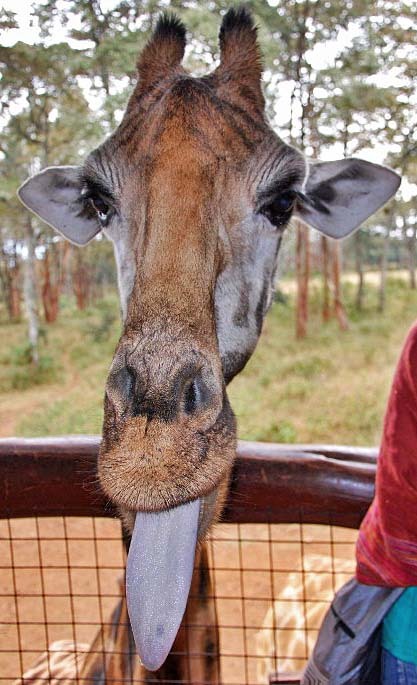 There are three sub-species of giraffes found in East Africa – the Maasai, Reticulated, and the Rothschild. You can tell the giraffes apart by the different pattern and colour of their spots, the markings on their legs, and the number of horns they have. 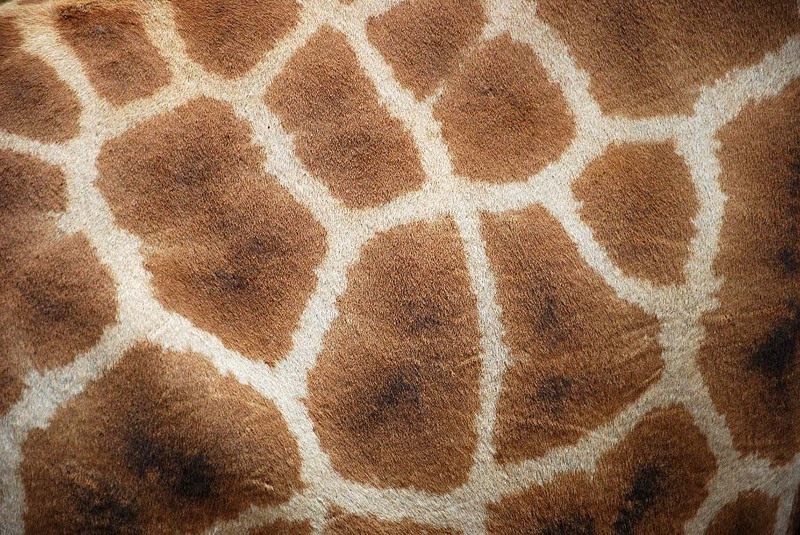 This is the coat of a Rothschild giraffe. Snack time: Visitors who come to the Giraffe Centre are able to get up close and personal with the animals, feeding them pellets from the hand or the mouth! Daisy is the oldest and the most giraffe at the centre. But watch out, she's all a head-butter! 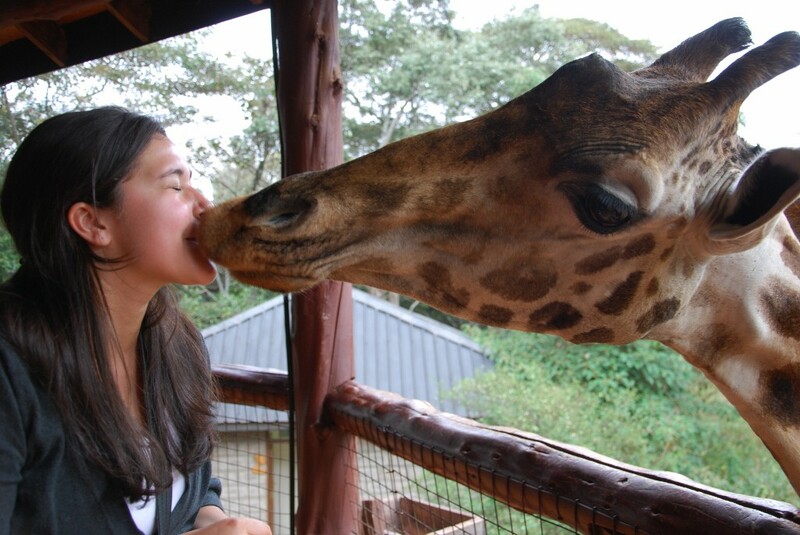 Did you know: A giraffe’s saliva is an anti-septic – thus no need to worry of catching a bug when getting slobbered with a giraffe kiss!